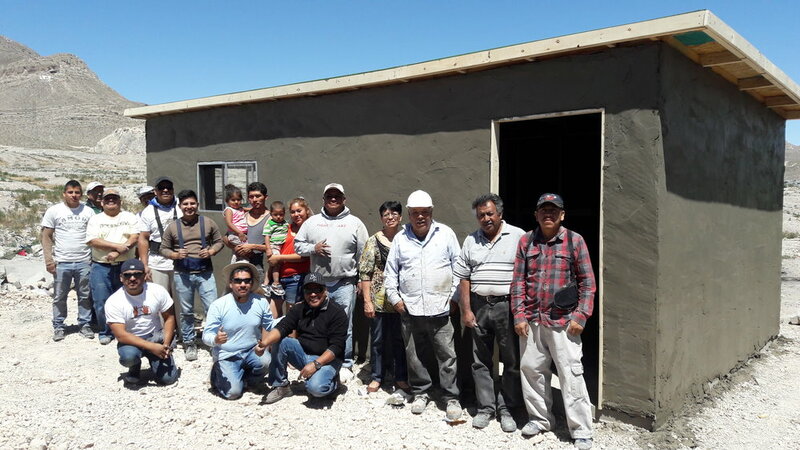 The Aguilera Torche family with the local laborers who built their home. The Aguilera Torche family is ecstatic to receive a new home! Alejandro works as a vendor on the street, and he earns around $52 a week. Erika is a stay at home mom who cares for their two children. They live in the Ampliacion Panfilo Natera community in Juarez, Mexico. Alejandro and Erika have asked we share the message, "Thank you for helping our family and blessing us with this new home!" Thank you for your support, you've truly shared with this family hope for the future!